Pink Shatter is a limited edition shimmery pink addition to the crackle collection. A must for shatter lovers! 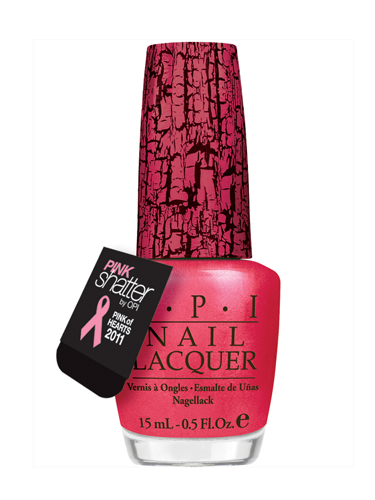 In their 7th year as silver sponsors of, OPI again are donating 100% of profits from the sale of Pink Shatter to the National Breast Cancer Foundation. It can be purchased from David Jones and selected beauty salons and spas for $19.95. I'll be showing you swatches of this gorgeous shatter very soon! This is SO adorable! 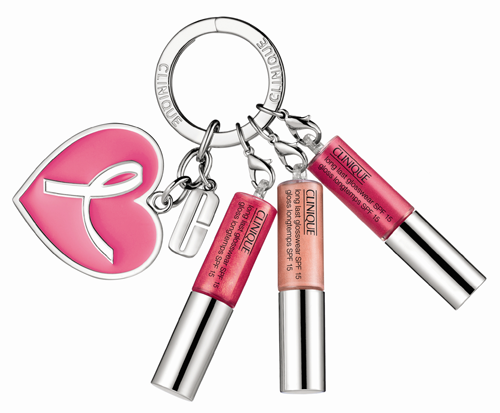 This limited edition set includes three adorable Long Last Gloss Wears on a pink Clinique key chain with mirror. Clinique will donate $5 per product to the National Breast Cancer Foundation. It is available exclusively online from www.clinique.com.au for a limited time for $35. The best selling Dramatically Different Moisturizing Lotion (DDML) is offered in a special limited edition bottle which features a miniature picture frame key chain adorned with a heart-shaped ribbon charm. One of their most popular products, Clinique is making use of DDML's popularity by donating $20 from each sale to the National Breast Cancer Foundation. It can be purchased from Myer, David Jones stores and online from www.clinique.com.au for $110. 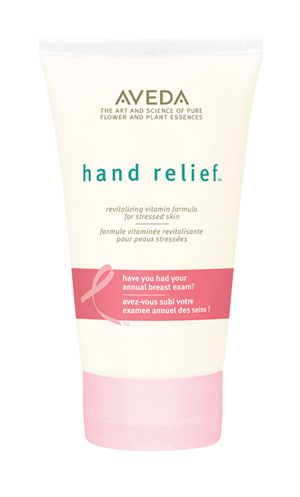 For the month of October, Aveda Hand Relief™ is packaged in a limited edition pink ribbon design. Aveda will donate $4US from the sale of each Breast Cancer Awareness Hand Relief™ to fund cruelty free research through the National Breast Cancer Foundation. It is available from Aveda stores and spa locations for a limited time for $44.95. 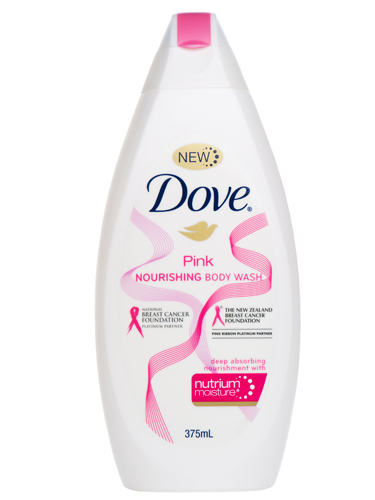 Dove's Body Wash range is a favourite of mine and what better excuse than to purchase it during October when it's for a good cause! 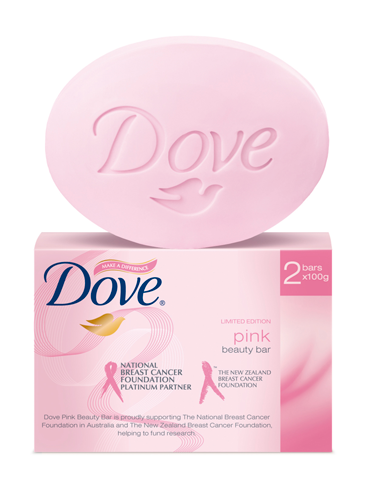 Dove's donations to the National Breast Cancer Foundation are expected to reach $1 million. It can be purchased from supermarkets, pharmacies and Priceline for $7.36. This pack comes with two of Doves Beauty Cream Bars containing their signature 1/4 moisturising cream. Dove's donations to the National Breast Cancer Foundation are expected to reach $1 million! It can be purchased from supermarkets, pharmacies and Priceline for $4.49. 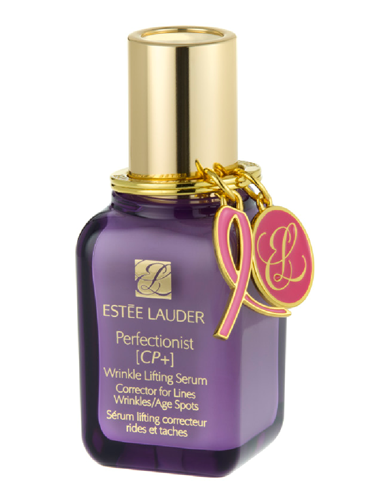 For the month of October, the powerful Perfectionist [CP+] Wrinkle Lifting Serum comes with a limited-edition reusable pink keychain to show support for Breast Cancer Awareness month. Estée Lauder will donate $20 from the sale of each product to the National Breast Cancer Foundation. It is available from Myer and David Jones stores for a limited time for $168. 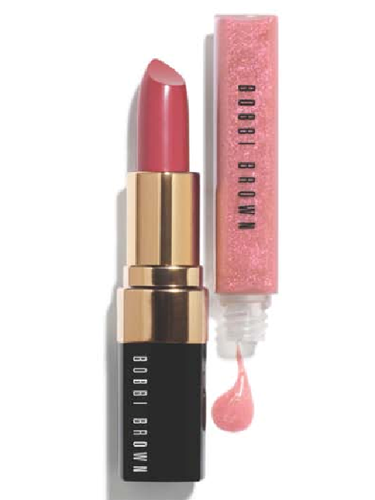 Bobbi Brown have created a limited edition lip set featuring a Bellini High Shimmer Lip Gloss and Pink Lip Color to help you go from pretty to pretty powerful. Bobbi Brown is donating 100% of the profits from the sale of each limited edition set to the National Breast Cancer Foundation. The set is available for a limited time exclusively from www.bobbibrown.com.au for $86. Enjoy free standard shipping during the month of October on any order when you purchase this set too! Will you be supporting Breast Cancer Awareness this month? What Pink Ribbon products will you be purchasing? Stay tuned for my annual Pink for October giveaway which will be kicking off tomorrow featuring one of the products I've shown you in this post and Hello Kitty! (Again better late than never Xp!). Thanks for looking as always! Breast Cancer Awareness is a cause that I am really passionate about. Like yourself, someone close to me was affected by it. It is such a traumatic experience for the person affected and all those around them. I'll be doing my bit for Breast Cancer. . .